Optima Nutrition has been applied to countries in Asia, the Pacific, and Africa to address national and sub-national policy and programming questions. Optimizing current financing allocation could reduce the number of stunted children by 1.4 million as compared to current allocation. 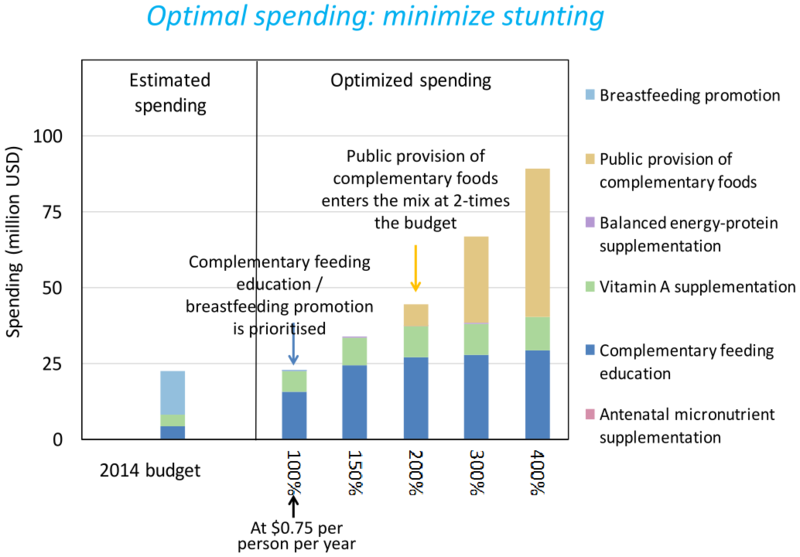 Optimizing an additional $10m could result in a further 1 million cases of stunting averted. Priority programs should be complementary feeding (and breastfeeding) education and young child feeding package. Priority areas for coverage expansion are Dhaka and Chittagong (60% of the additional financing allocated to those two regions).